When standing in a paddock, most see a paddock. I see a salad or bowl of lovely steamed greens. It's an Italian thing. 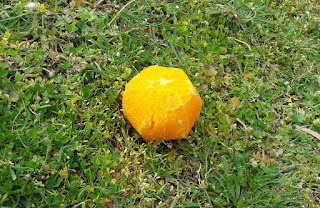 We find food everywhere we go - but finding a neat, knife-peeled orange on the nature strip in suburbia is just too confounding a find to get my mind around. 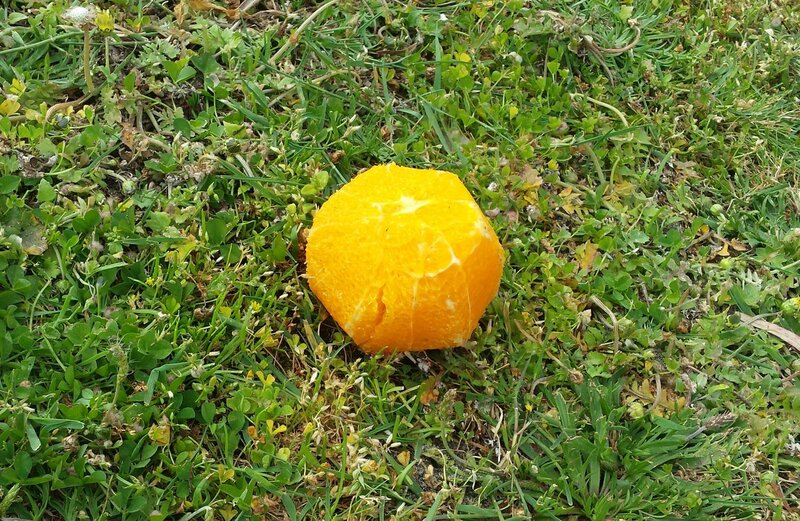 Some of you know I've found oranges on sandy stretches of beach. Some of you also know we've found pumpkins in the bush, such extra-territorial finds posing both perplexing questions and exciting adventures. 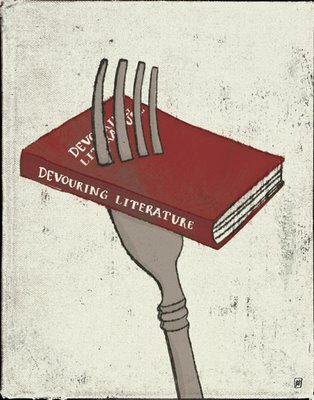 What's the strangest food item you've ever stumbled across? Or the strangest place you've found food in?